This book is a record of Godfre Ray King's experiences with the Saint GermainAscended Master Saint Germain on the side of Mount Shasta in northern California. It teaches the Laws of Life as given by the Great Host of Ascended Masters. "In presenting this experience, it is with the deepest prayer that the reader may receive the "LlGHT," be blest and prospered on his way as he walks the Path of Truth - in which alone can permanent happiness be found. There, and there only, will the Seeker after 'LIGHT' find Eternal Peace and Activity in the Service of Love . . . ."
"Those who do accept the Truth herein recorded will find a new and powerful 'Force' entering their lives. Each copy carries with it this Mighty 'Presence,' Its Radiation and Sustaining Power. All who study these pages honestly, deeply, sincerely and persistently will know and make contact with the Reality of that 'Presence' and Power. To those who read this work, I wish to say that these experiences are as Real and True as mankind's existence on this Earth today. . . . "
"This book is a record of Godfre Ray King's initial experiences with the Saint GermainAscended Master Saint Germain and includes His Instruction on the Great Laws of Life. All of the books of the Saint Germain Series teach the Ascended Masters' Explanation of the Laws of Life and the Use of the Great Creative Words 'I AM'." "Highly spiritual, soul lifting, and easy reading. To anyone who is sincerely seeking for knowledge, this is recommended reading. The reader will receive a special surprise, when reading and studying this truly heart touching book. The reader will find themselves reading this book over and over again, each time discovering something new. Yes, a book which contains Love and Light and truly unveils the mysteries of the universe. The reader will constantly be discovering something new in this book, plus discover knowledge of great importance in the subsequent books of the Saint Germain Series." Ascension Research Center is an independent student research project. At the bottom of every web page on our site, we make it clear that this web site is not associated with, or sponsored by, any other organization, including the Saint Germain Foundation. The intent of this presentation is to inform students of the Light throughout the world of the existence of the Ascended Masters' Instruction, as originally presented by Mr. & Mrs. 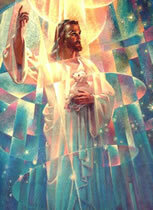 Guy W. Ballard in 3,834 Dictations from the Ascended Masters from 1932 through 1970. 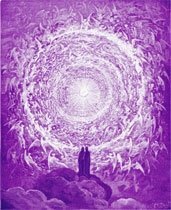 The Saint Germain Press publishes the Ascended Masters' Instruction in the original form without being mingled with teachings from other sources.